A new way of doing family mediation which aims to reduce the long family law lists in the District Courts, has shown a high amount of positive outcomes. 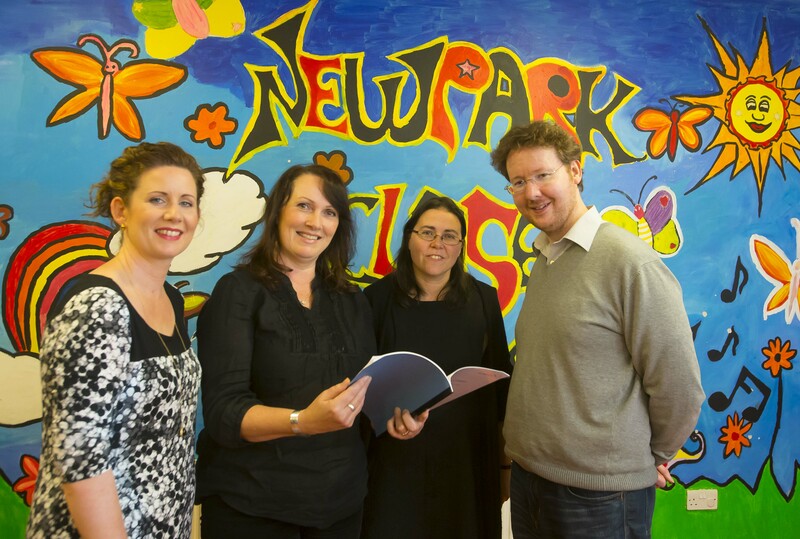 To date 95% of cases in the Waterford Institute of Technology Family Justice Mediation pilot have reached agreement – mostly around parenting access or maintenance. In 70% of those cases all issues were agreed. The aim of the programme is to reduce the long family law lists in the District Courts, where up to 90 cases a day are regularly listed for hearings, and reduce stress and costs currently associated with family law proceedings. The third and final phase of this innovative pilot family mediation service is available to families in the South East region until July 2016. The process was developed by Dr Roisin O’Shea during her PhD research at Waterford Institute of Technology which was funded by the Irish Research Council. Dr O’Shea created a programme with the best elements of family mediation she observed internationally during her research, and she added a few innovations. The Waterford Institute of Technology Family Justice Mediation pilot has already attracted international attention. Dr O’ Shea and Kathy Irwin (Partner in Beauchamps, Dublin) were invited to present at the Association of Family and Conciliation Courts (AFCC) annual conference in New Orleans in May 2015. Dr O’ Shea and Project Co-ordinator WIT law lecturer Dr Sinead Conneely who completed 'Family Mediation in Ireland' PhD research and heads up the project have also been invited to present on the pilot at the International Shared Parenting Conference in Bonn in December. Dr O’ Shea, Project Principal Investigator, explains that through the mediation project parents can deal with all issues including Guardianship, Custody, Access and Maintenance. “One of main differences between regular family mediation processes in Ireland and the new process being piloted, includes having two mediators, one of each gender, to avoid feelings of gender bias. Other differences include time management, solicitors are included in the process, and legally-binding agreements are made during the mediation process itself,” adds Dr O’Shea. Anyone interested in accessing mediation in the pilot should call Laura La Brooy at 087 345 7569. The third phase of the Waterford Institute of Technology Family Justice Mediation pilot programme is open to anyone in the South East region with a District Court application or case between October 2015 and July 2016, and if one parent is outside the region or living in another country mediation can be done by Skype. Experienced family mediators aim to assist parents to come to agreement on parenting arrangements and maintenance within 4 weeks. Parents wishing to participate will get an appointment within 10 workings days versus waiting several weeks at best for an appointment with the State Family Mediation Service, or paying substantially more to access private mediation. Payment is means tested for this programme so participants pay an amount relevant to their means, starting at €25 per hour. If parents have a case scheduled to be heard by a judge, they can agree to adjourn the hearing and try to come to agreement in mediation in this pilot project. To book an appointment call Laura at 087 345 7569 or the Family Resource Centre at 056 7723309. Co-mediation: two mediators rather than one are present and actively participate in each mediation session. The programme aims to have both a male and female mediator at each meeting to avoid feelings of gender bias. “Directive”: The traditional approach in Ireland to date has been no set timelines, agenda, or focus on getting to an agreement according to WIT law lecturer Dr Sinead Conneely's 'Family Mediation in Ireland' PhD research. The process Dr O’Shea has developed is ‘directive’ meaning it has set agendas and tasks with the aim of reaching agreement within a specified time-frame. Financial information: Clients are assisted to complete comprehensive financial statements which are then used to quantify the ability of the non-resident parent to pay and the needs of the child/children, rather than the standard approach where very little or no financial information is sought during discussions. Legally enforceable outcomes: The pilot aims to produce a legally-enforceable agreement on each case rather than a memorandum of discussions (MOU) which may not deal with the legal issues at hand (and often specifically states that it is not intended to be legally binding). To achieve this, it is ensured that at least one party in each mediation has sufficient experience and/or legal training in family law to understand the legal context. All agreements are reviewed by at least one mediator who has formal legal training. Working with solicitors: where the parties have solicitors, they are involved in the process from the outset, providing legal advice and reviewing any draft agreements, and the formal legally worded agreements are concluded and signed in mediation. In the traditional approach the mediator works in isolation with the parties, who afterwards bring that MOU to their solicitors who at that stage work to turn the intentions of the parties into a legally worded outcome. Trial runs: where there is significant conflict between parents, short agreements are encouraged, of 6 weeks duration at a time, to trial run new arrangements, rather than the standard approach of seeking to agree longer term agreements over several face to face sessions. Video calls by Skype: We use Skype for Business (tm) as a multi-party video-conferencing tool for mediations where the clients are unable to attend physical mediation sessions due to geographical distance, disability or other issues, rather than the traditional approach of meeting clients face to face. Supporting unrepresented litigants: The pilot specifically supports parents who cannot afford to have a solicitor and find themselves in court with little or no knowledge of family law. They can choose to adjourn their case and come to mediation in the pilot and any agreement reached will go back to the Judge to turn into Orders.